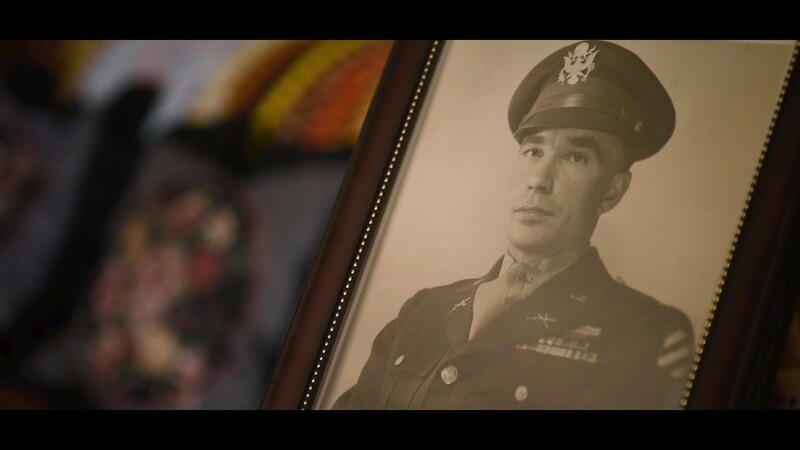 The widow of a World War II soldier will accept the Medal of Honor for her husband at the White House tomorrow, 22 years after his family began efforts to upgrade the soldier’s Distinguished Service Cross. Army First Lt. Garlin M. Conner’s widow, Pauline Conner, was joined today in a Pentagon press briefing by Army Maj. Gen. Leopoldo Quintas, commanding general, 3rd Infantry Division; Erik Villard, historian, Center for Military History; and Luther Conner, a cousin of Garlin Conner and attorney who was involved in fighting for the soldier’s Medal of Honor recognition. Pauline, 89, of Albany, Kentucky, will accept the honor on behalf of her husband, who died 20 years ago at age 79. He was drafted March 1, 1941, and assigned to the 3rd Infantry Division’s 3rd Battalion, 7th Infantry Regiment. First Lt. Garlin Conner spent 28 months on the front lines in eight campaigns in the European-African-Middle Eastern Theater, participated in four amphibious assault landings, was wounded seven times and earned a battlefield commission. He was awarded the Distinguished Service Cross, four Silver Stars and the French Croix de Guerre for his actions in Italy and France. He also received a Bronze Star and three Purple Hearts. On June 28, 1944, shortly after earning his second Silver Star medal, Conner received a battlefield commission to second lieutenant. Six months later, on Dec. 29, 1944, he was promoted to first lieutenant. While in Houssen, France, he received a serious hip injury, but he slipped away from the hospital to rejoin his unit shortly before the battle that would see him earn the Medal of Honor. On Jan. 24, 1945, as German formations converged on the 3rd Battalion’s position, Conner voluntarily ran to the front lines to serve as a spotter, uncoiling telephone line to communicate with the infantry as he ran to direct friendly artillery on the advancing enemy forces. He found little refuge in a shallow ditch, Villard said. With rounds impacting all around him, Conner calmly directed multiple fire missions onto the force of 600 German infantry troops, six Mark VI tanks and tank destroyers, adjusting round after round of artillery from his prone position, according to an Army website. For three hours, he remained in a prone position, enduring the repeated onslaught of German infantry which, at one point, advanced to within 5 yards of his position. When the Germans mounted an all-out attack to overrun the American lines and his location, Conner ordered his artillery to concentrate on his own position, “resolved to die if necessary to halt the enemy,” according to his Distinguished Service Cross citation. Ignoring the friendly artillery shells blanketing his position and exploding within mere feet, Conner continued to direct artillery fire on the enemy assault swarming around him until the German attack was finally shattered and broken. By his incredible heroism and disregard for his own life, Conner stopped the enemy advance. The artillery he expertly directed while under constant enemy fire killed about 50 German soldiers and wounded at least 100 more, preventing heavy casualties in his battalion, Army officials said. As an intelligence officer, historian Villard pointed out, it was no longer his job to put himself between U.S. troops and the onslaught of German fighters, but he unselfishly did so. Villard also said it’s been suggested that Conner is the second-highest awarded service member following Audie Murphy. “On behalf of every soldier in the 3rd Infantry Division and their families, we are proud and pleased to have a soldier from the division -- a dogface soldier -- receive the nation's highest award for valor,” Quintas said. Once Conner was out of the Army and returned home to the family farm in Kentucky, he never spoke of that day in France, his widow Pauline said. But she knew that it haunted him. Noting that post-traumatic stress disorder was not a recognized diagnosis until several wars later, Pauline said she knew her husband suffered from the disorder. “If anybody had PTSD, he did,” she said, describing his frequent nightmares, but, she added, he wouldn’t talk about what happened that day in January. On accepting the Medal of Honor tomorrow for her deceased husband tomorrow at the White House, Pauline said, “It’s something that should have been done during his lifetime,” adding that it was an honor for her to accept the medal for him. She said Conner -- who she married when she was 16 -- was a good and humble person. “He was my hero. I loved him very much and I’m so thankful I get to see [the medal being bestowed] in my lifetime,” Pauline said.